Great teachers and great yogis that attend! "One of the best yoga studios in Virginia Beach!! They have a variety of classes and each geared to whatever level you are. The studio is clean and has a warm welcoming feel. Great teachers and great yogis that attend!" "I absolutely love Studio Bamboo. 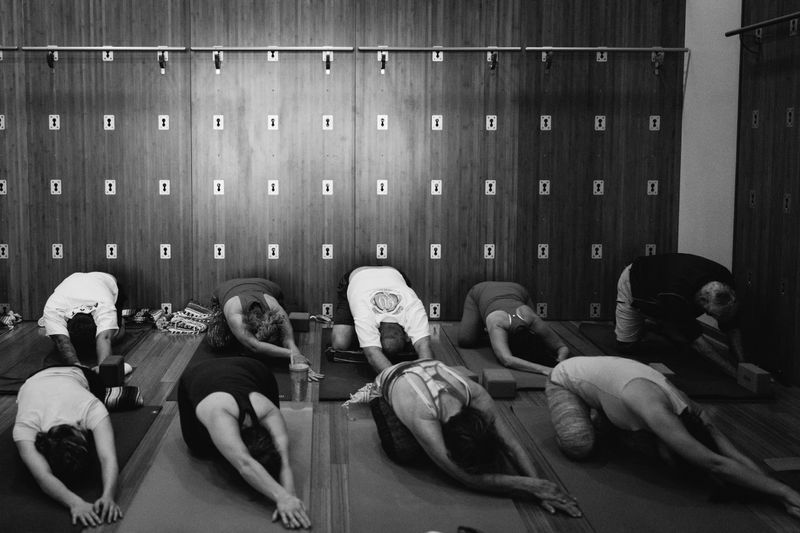 It is the only large yoga studio I have ever attended, which made me hesitant at first, but the way it is arranged and decorated makes it feel very warm and intimate. The decor is beautiful, clean and soothing, and they have a small amount of retail right there. But the best thing about studio bamboo are the staff -- I have taken classes by five or six instructors and each one has been amazing. They pay a lot of attention to the practitioners and try their best to give each member of the class individual help in an exceptionally kind, conscientious way. The girls at the front desk are also fantastic and helpful, and I always leave feeling energized and happy. Thanks, Studio Bamboo!" "I love this place. The teachers are excited to teach, the rooms are clean and beautiful and there is so much variety. I highly recommend this yoga studio." "Phenomenal yoga studio. Instructors are all knowledgeable, professional, and personable. There are a large variety of classes including hot yoga, multi level yoga, yin you, pilates, and barre. I was looking to get back into shape, and I am so happy with my mind, body, and overall well being after two weeks of attending different classes. All of the classes are appropriately challenging and rewarding." Do you love Studio Bamboo?